NetOps is defined as the DoD-wide operational, organizational, and technical capabilities for operating and defending the Global Information Grid (GIG). NetOps includes, but is not limited to, enterprise management, net assurance, and content management. The role of NetOps in Net-Centric Operations is to enable the GIG to provide users at all levels and in all operational environments access to and use of the information they need. The NetOps Strategic Vision is based on the underlying tenets of net-centricity and other net-Centric strategies. It outlines a vision that transforms NetOps capabilities into a force multiplier by enabling the warfighter, business and intelligence user and decision makers to fully employ the power of the Global Information Grid (GIG). This strategic vision seeks to establish a Net-Centric NetOps capability for dynamically operating and defending the GIG as a unified, agile enterprise that provides responsive support to multiple simultaneous missions. The purpose of the NetOps Strategic Vision is to communicate the DoD Chief Information Officer’s vision and goals for migrating to new NetOps capabilities which will enable the Department’s Net-Centric vision. It builds on the DoD Information Management/Information Technology (IM/IT). Share GIG Situational Awareness: Provide GIG users, operators, and commanders at all levels with accurate and timely information that enables a shared understanding of the health and mission readiness of the GIG. Unify GIG Command and Control: Adopt a unified C2 approach for agile proactive management of the GIG. Institutionalize NetOps: Institutionalize NetOps across DOTMLPF to ensure DoD requirements, acquisition, budgeting, and management processes can be influenced to achieve the NetOps vision. Objective: Implement and oversee a NetOps governance structure that supports other Net-Centric strategies. Automated, federated NetOps capabilities that enable the rapid adaption of GIG capabilities to rapidly changing mission needs and unanticipated threats. 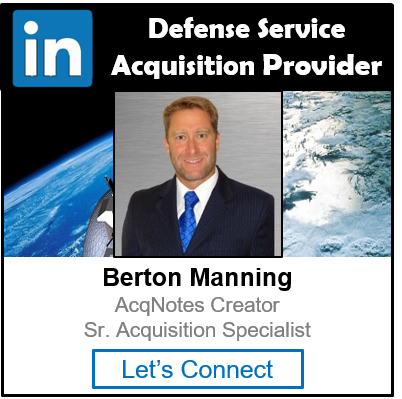 Disclaimer: AcqNotes is not an official Department of Defense (DoD), Air Force, Navy, or Army website. Any information, products, services or hyperlinks contained within this website does not constitute any type of endorsement by the DoD, Air Force, Navy or Army. No federal endorsement of sponsors intended. The information contained in this Website is for informational purposes only and is not intended as a form of direction or advice and should not be relied upon as a complete definitive statement in relation to any specific issue. Access to and use of this websites information is at the user's risk.